Disgust? Revulsion? Reeling of some kind? Followed by the … sanitized, socialized, stigmatized somewhat subdued reaction. What did Saatchi explain? Something about playfully choking Nigella? Hmmmm – what to say, initially – a loud silent nothing springs to mind and the draw bridge holding up my jaw falls down. 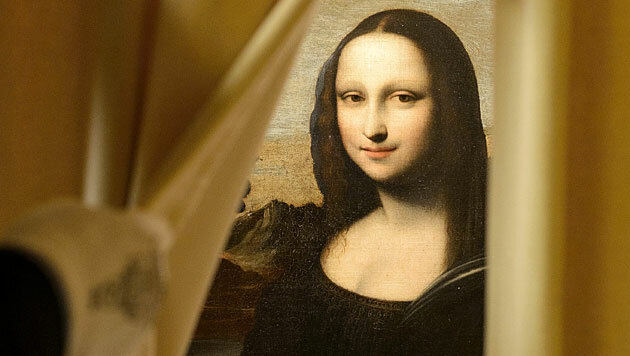 Noticing all of this – is an important clue to deciphering the mystery behind the Mona Lisa’s smile. Long Bow? I hear your cynical self inquire, let’s see. I challenge you to follow me firstly from Nigella and what people saw happening between herself and Saatchi, to the Isleworth Mona Lisa to the Louvre Mona Lisa. Nigella was clearly stressed, even distressed by what occurred between herself and Saatchi. The human stress response is commonly described as “Fight” or “Flight” and refers to the instinctive human reaction to stress as being either to bash it or flee from it. This is true in the main however the stress response for women can vary slightly, particularly when the source of the stress is an aggressive male partner upon whom that woman is dependent. Women respond differently to stress and approach where it seems more obvious to flee. Women “tend, befriend and mend” rather than “fight” and “flight”. This can appear on the surface to be counter intuitive. This is what Nigella was observed to be doing with Saatchi. Eye witnesses observed her trying to soothe and calm him as though he were a naughty or distressed child, but ofcourse – he is not a child. He is older, significantly as it happens, than she. Nobody likes seeing a woman mistreated or assaulted, or do they? How many of you have sought out the snaps, tried to see just how violent he was? Why did you do this? Were you ready to leap to her defence or was there another reason you went there. What say you? Plenty of people are happily passing judgement, very comfortable being both Judge and Jury – as long as they are on the sidelines and not in the arena. It is impossible to be either Judge or Jury without having any real comprehension of just what forces keep a woman in a position where she must tolerate abuse in order to survive. Squirming slightly? The conflict witnesses saw between Nigella and Saatchi, his intimidating gestures – choking her, belittling her and her attempts to ‘tend, mend’ and soothe him – suggest to me that scenes similar to this have been going on for some time. Saatchi felt comfortable enough to grab his wife’s throat in public and Nigella for her part was so accustomed to this pattern, she was able to tweet a shot of her meal before leaving the restaurant. This would seem strange to you – only if you have never bravely and honestly examined the driver behind this male to female aggression. Even more alarming, initially at least – examining what drives female to male acceptance evolving in to tolerance that becomes – collusion. It is tempting, comforting even to imagine yourself immune to this kind of collective collusion and looking away – but let me ask you – what did you actually do to help the woman involved, in this case a beautiful famous woman called Nigella? Domestic violence is very complex. 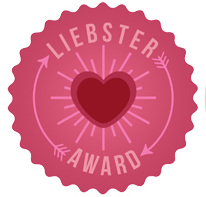 It develops, occurs and is maintained in a macabre cycle – where emotional intensity heats up, conflict occurs – escalates to verbal, emotional, physical abuse – there is a purging of negative emotion, the parties withdraw, the aggressor feels ‘better’ and it is this response that sets the whole thing up to happen again. Domestic violence is itself the end result of the participants best attempt to regulate their emotions or make themselves feel better. Once it begins – it is extremely difficult to stop because all parties get to know ‘their steps’ and familiarity becomes what they accept instead of safety, love and respect. The question buzzing around on everybody’s mind is – “What are you thinking Nigella?” There is a Secret being kept here, something remains obscure but soon, any day now – it might already have happened, soon you and I will forget about this little blip that points to ‘The Secret’ many more than Nigella are keeping. Secret keeping and abuses of all kinds go hand in hand. 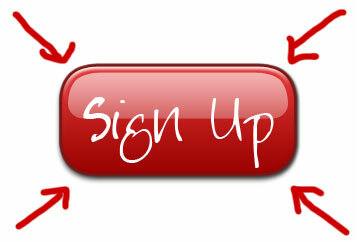 Keeping secrets inters or maintains people in a state of separation and suffering. Keeping secrets protects abusers and abuses of power. Everyone suffers. This is a dilemma that is not small. So I suggest let’s go after the Secret, then it will be a Secret – no more. Revealing a Secret, illuminating a mystery – drains, exsanguinates all its illusory power. Transparency good. Secrecy baaa-aaad! To begin our investigation, I suggest we wander over to another iconic vision of womanhood. A woman who is also keeping a big secret – a secret so captured by Leonardo Da Vinci, that the world is still completely besotted, transfixed – intrigued. The woman is long dead. You would think this a formidable obstacle to capturing her image but no – the woman is still pursued by Paparazzi. Her image captured by the mind and hand of Leonardo Da Vinci is so compelling, so provocative – she needs to be protected by bullet proof glass. Like Weird? No? Why all the kerfuffle? A Younger Mona Lisa? WTF? Another version of Leonardo Da Vinci’s ‘Mona Lisa’ has broken through the divide between that which we all ‘know’ or can ‘see’ and that which we cannot. So this version of the Mona Lisa has been floating around since the early 1800’s. It resurfaced just before World War I when an English art collector Hugh Blaker re-discovered her in a Somerset estate and purchased it immediately. 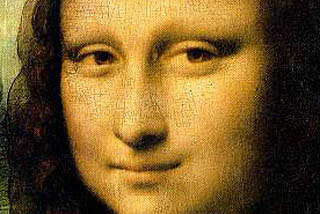 Blaker displayed it in his studio in Isleworth – hence the work’s name, the “Isleworth Mona Lisa”. Before we get in to – what makes the ‘Mona Lisa’ so compelling, I do have a theory – but suspense and motivation in the right balance are necessary for awareness to bloom like the thunderstorm it is – let’s go over the ‘he said, she said’ as to whether it is authentic, ‘did Leonardo paint it?’, ‘is it a copy?’ – blah de blah. First to the features of the Isleworth Mona Lisa. The Isleworth Mona Lisa is wider, painted on canvas, background composition is different and there is the inclusion of columns on either side. The background is less detailed than the Louvre Mona Lisa and inferior in detail. Also the Isleworth Mona Lisa is younger in appearance. 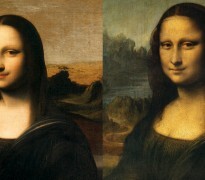 The posture and shape of both Mona Lisa’s is eerily identical with one compelling and strange detail – one is clearly younger and the other older. WTF? More than that – why are we all so fascinated? It is not just me – even if it is not you – in this moment. I am confident that in your quieter moments on the loo – you are wondering, along with everyone else, ‘What is she thinking?’ – the million or in today’s money – trillion dollar question. Secondly, what does historical records tell us about who commissioned what, when and who paid for it? So the Mona Lisa is believed to have started out as a portrait of Lisa del Giocondo nee Gherardini. Lisa was born 15 June 1479, was married to Francesco di Bartolomeo di Zanobi del Giocondo when she was 15 years old. Francesco had been married twice before, was twice a widower and 19 years older than Lisa. Interesting. He was also a fairly successful cloth and silk merchant. He enjoyed beautiful things – perhaps. He was Florentine after all and the art world enjoyed patronage of beings like Francesco. Why not – everyone likes to look good – don’t they? A portrait by Leonardo Da Vinci upon whom the the Medici Family – big guns in Florence at the time – bestowed their patronage. A Da Vinci painting, at the time, would have been a fantastic trinket. Lisa del Giocondo shares some of these elements with Nigella Lawson, a bit circumstantial to be sure but it is still interesting. Nigella for example is Saatchi’s third wife and she is – what – 15 years younger than he? Are we all familiar with the story of Bluebeard? And, I guess for what it is worth – there is perhaps a love of beautiful objects. One is a Florentine Silk Merchant commissioning a Da Vinci while the other is an Art Collector and Ad-Executive. It is a bit interesting but correlation, though informative – is just that, interesting. 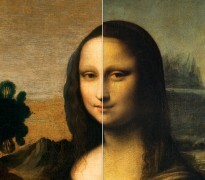 The portrait of Lisa appears to have been commissioned by Francesco in 1503 but a quick and dirty perusal of the evidence suggests Da Vinci did not complete the portrait of Lisa in favor of another commission. If you don’t know what is what – look to the money and everything clears up. So Leonardo had no income during the spring of 1503, which suggests or provides some circumstantial motivation to accept a commission for a private portrait. However later the same year he was commissioned to complete another work ‘The Battle of Anghiari’ for which he was contracted to complete by 1505 suggesting he may have ceased work on Lisa’s portrait – to go where the money is and he appears to have accepted a more lucrative commission. In 1506 Leonardo considered the portrait unfinished. He was not paid for the work and did not deliver it to his client but which work? I am getting to the ‘Secret’, it will be revealed in PART II. In the meantime, I have left a few clues for the canny observer to find. Feel free to post your theories. ← So Chocolate is OK to eat, Right?